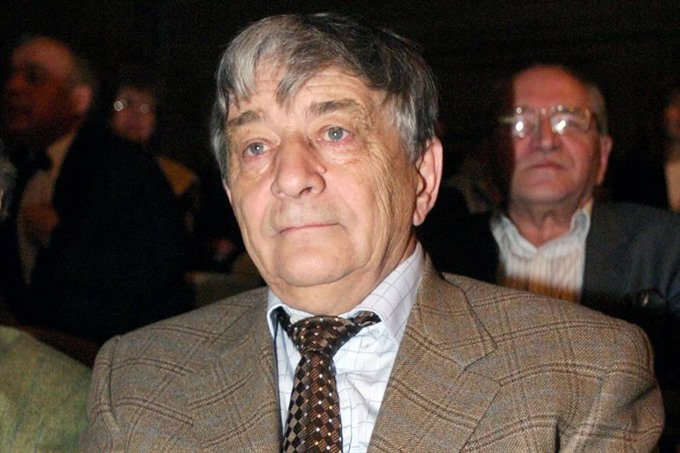 MOSCOW — Legendary Soviet children’s writer and creator of the USSR’s most popular cartoon characters Eduard Uspensky died in his home in the Moscow suburbs at the age of 80 late on Tuesday. Uspensky was most famous for his iconic cartoon characters Gena the Crocodile — a friendly crocodile who works at a zoo and plays the accordion — and Cheburashka, a strange brown-haired creature with large ears. Millions of children in the Soviet Union and Eastern Bloc watched the animated adventures of Gena the Crocodile, which first aired in 1969. Cheburashka first made an appearance in the cartoon in 1971. The Kremlin yesterday said President Vladimir Putin sent a note with condolences to Uspensky’s family. “Every generation of Russians was brought up on the heroes of this famous writer and absorbed the good that they carried,” Kremlin spokesman Dmitry Peskov said. Born in the Moscow region in 1937, Uspensky began writing children’s stories as a student at the Moscow Aviation Institute. He first published the story of Gena the Crocodile in 1966 and it was turned into an animation three years later. One of the songs in the cartoon, composed by Soviet musician Vladimir Shainsky who died last year, has been adopted as Russia’s main birthday tune. Uspensky was also one of the founders of Goodnight Little Ones, the Soviet Union’s cartoon programme for children that began broadcasting in the 1960s. “What is remarkable, is that Uspensky’s characters were not lost with the collapse of the Soviet Union,” an obituary in Russia’s Argumenty i Fakty newspaper said. “They confidently competed with foreign cartoon characters and even experienced a cultural expansion abroad.” In Japan, Cheburashka became so popular in the 2000s that the country produced a new modern animation series centred around the creature. Cheburashka was chosen as the official mascot of the Russian team at the 2004 Olympic Games in Athens.